By the 1850s, British railways had reached the outskirts of central London, and had expanded outside the city by means of an underground system. Posters featuring tours, landmarks, parks, and entertainment venues were used to encourage use of the railways to explore attractions within and beyond the city limits. 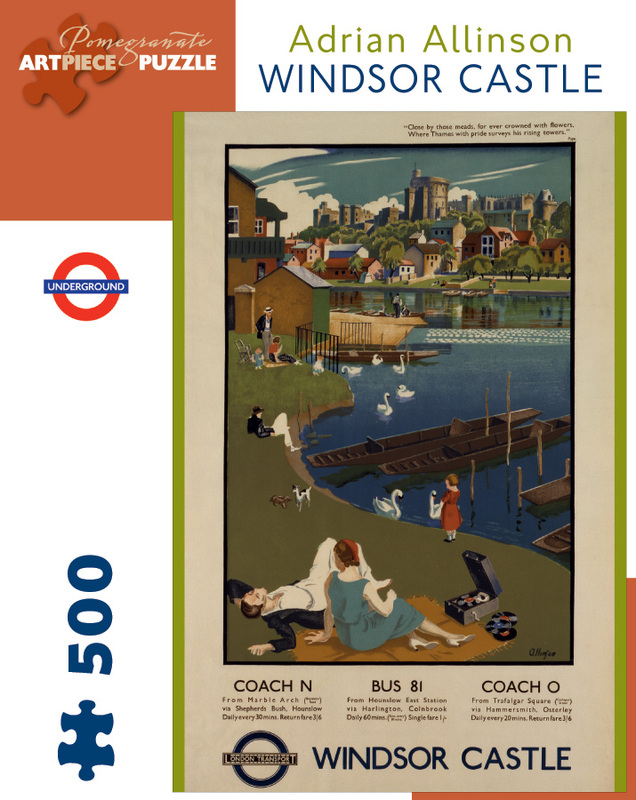 The poster by Adrian Allinson reproduced on this puzzle is from the London Transport Museum, one of the finest poster archives in the world. 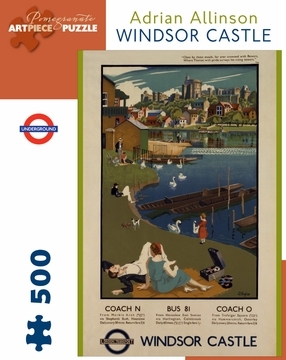 It shows Windsor Castle in the distance, as well as detailed instructions about how to reach the castle via train and bus.